The preparations are done, everything is booked and finally it’s time for the big day itself! At every wedding Nick is formally dressed and professional. Nick is at your service all day, quietly and subtly capturing memories to treasure. Our kit is specifically designed to be compact and discreet – whilst still exceeding our demanding technical standards. Many guests don’t even realise a video is being made! 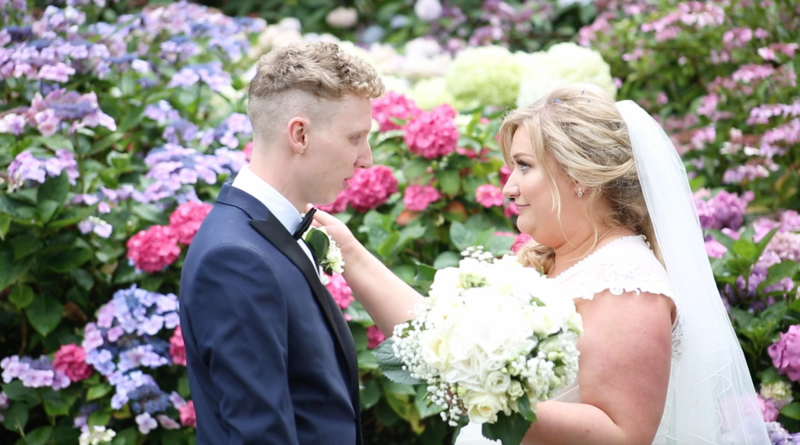 As a professionally trained broadcast cameraman Nick has worked on a wide range of BBC and C4 programmes and brings this experience to every wedding shoot. For examples of each part of the day please click here. 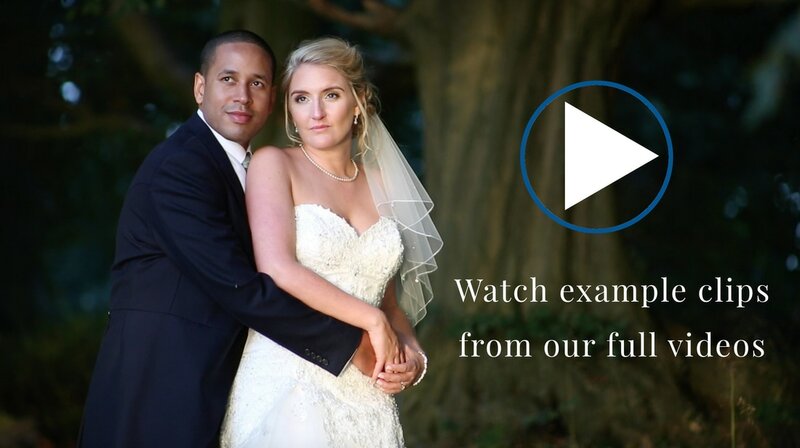 Nick tends to arrive approximately 2-3 hours before the ceremony and begins with filming bridal preparations (if required), the groom and guests arriving and venue establishing shots. In the final video this section is accompanied by music and includes lots of shots, edited meticulously. As the ceremony begins Nick will have 2 or 3 cameras in subtle positions, covering every angle. All 3 can be operated by Nick and he doesn’t need to move around at all during the actual ceremony. Small sound recorders are placed near to the centre of the action, hidden away carefully allowing Nick to keep his distance with the cameras. In the final edit every minute of the ceremony is included. 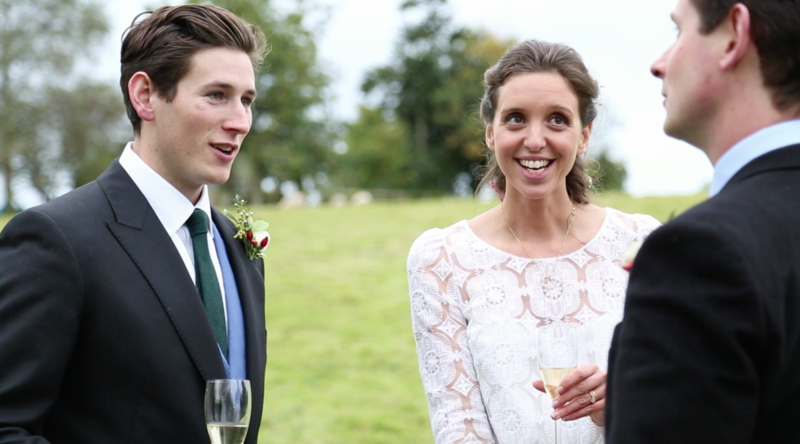 Once the photos and drinks reception begins Nick continues to film with one camera, blending in with the guests and capturing naturalistic, discreet moments of you and your guests relaxing and enjoying the day. In the final edit this section features a large amount of shots and is accompanied by music of your choice. Nick returns to multiple camera coverage for the speeches, positioning himself as far back from the top table as possible, reducing the pressure a little on the speakers! A wide shot showing the whole room and a close up on the speech maker is typical coverage. Again small sound recorders are placed in front of each speech maker for high quality sound. In the final edit all of the speeches are included. Coverage continues into the evening with Nick again returning to single camera work. This section once again features music of your choice. Multiple cameras are used again for the cutting of the cake and first dance. Nick normally keeps filming until shortly after the first dance. At that point enough footage has been gathered to make a cinematic, creative wedding video for you.